How to prepare two natural preparations from dandelion? 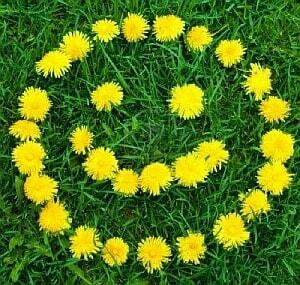 Dandelion is a weed plant that grows everywhere, but it should not diminish dandelion healing properties. On the contrary, in the spring, fresh green leaves of dandelion can be ideal salad to detoxify the body from heavy winter food. From yellow dandelion flowers can be prepared honey and even root is no slouch. From dandelion, after drying, you could prepare a medicinal tea for purifying the liver. Unite all the ingredients in a blender and mix well. Content will become fluent. The juice should be drunk immediately and should not be frozen. This drink is rich in energy and nutrients and will help your body to fight against viruses and bacteria, especially after the winter period when the immune system is weaker. In pot where you put dandelion root, add boiling water and return to the stove to cook a few more minutes. After that, cover the bowl and leave to stand for 15 minutes. Strain the tea and drink during the day. The root of the dandelion is excellent for detoxification of the body and expelling all the toxins.